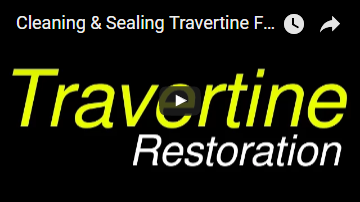 Slate Cleaning and Sealing specialists in Perth, let’s Talk about Slate, Slate is a metamorphic rock that generally comes in grey or black colours. However, it may also be purple or red, depending on the mineral content. It comes from all over the world, but what is generally common is that slate gets scratched easily. Remember the blackboard teachers used in school? It was made from slate. Slate tiles tend to be uneven, but this not-so-smooth surface has made it popular in Australia as a way of lending a place that rustic look. It has also found application in modern and stylish designs; and there is also a practical angle to using slate tiles – their rough surface gives them a high degree of slip resistance. Because slate does not score high on scratch resistance, it is likely that your slate tiles have already been sealed at the time of installation, if they are old. 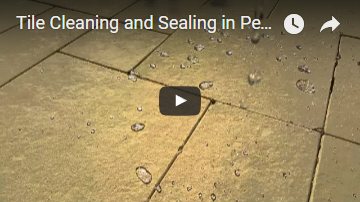 Prior to cleaning, Drytec’s slate cleaning and sealing experts inspect the tiles to see if acid-based cleaners have already been used that stripped away the sealant and damaged the stone. 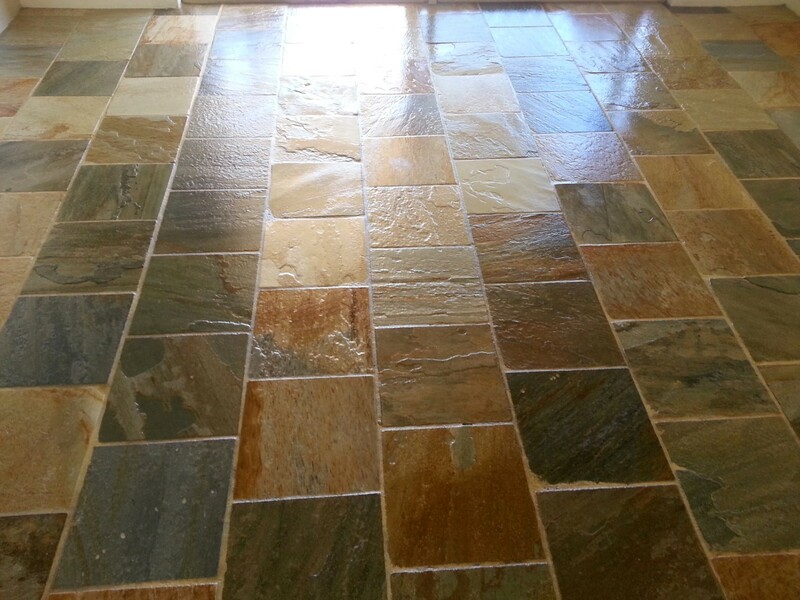 A mild soap solution or pH neutral cleaning agent is then used, depending on the condition of the tiles. We know first-hand that slate fractures easily, so even if we use professional cleaning equipment (we do so only if the tiles are found to be in good condition), we see to it that the pressure is never more than 800 psi. Sometimes, white-coloured salt deposits are found on the surface of slate tiles In Perth, these could have come from the Swan River if the slate tiles have been installed outdoors. Even if they have been installed indoors and in a non-wet environment where they had no exposure to water or a moist environment, this could have been caused by the salts making their way to the surface from within, for slate is highly porous. But not to worry, Drytec’s tile cleaning specialists take care of this too. 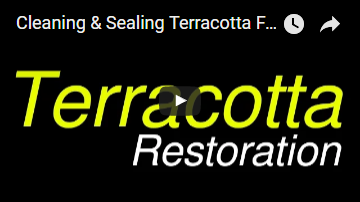 An environment-friendly penetrating sealer that reacts with the stone and lets moisture out is what would be recommended by Drytec. An alternate option would be to use a colour enhancing sealant which offers the same level of protection and also highlights the natural colours of your slate tiles. We know how expensive it is to replace damaged tiles, so we ensure that only high-quality products that do not damage your slate floor.